Given that it’s the 18th largest city in the nation, it comes as no surprise that Seattle, Washington has a plethora of interesting neighborhoods. 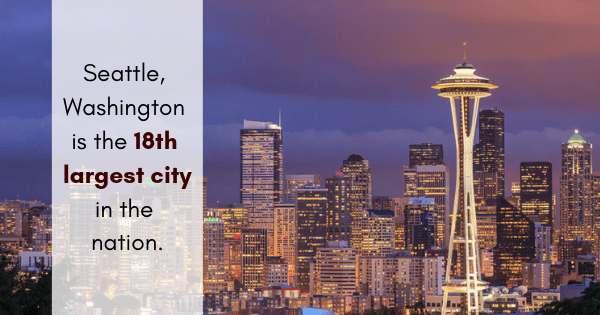 From Capitol Hill, to Columbia City, to Belltown, to South Lake Union, to the University District, there is no shortage of places to live or things to do. If you find that you want to experience a different part of the city, do not be afraid to find a new place in another neighborhood and move there! You may be tempted to try the move yourself — while moving is a skill that can be learned, it is immensely labor intensive. Too slowWithout the proper equipment, moving is a slow, laborious process. Even those who live the most minimalist of lifestyles will likely find that they have more possessions than they anticipated. If you are moving by yourself, make sure to give yourself a large amount of leeway so as not to get hit with hefty lease overstay charges. As these are at the landlord’s discretion, overstay charges can range widely in cost. Take a look at your contract if you are curious about the exact amount. Damage to property and possessionsPeople move perhaps a dozen times over the course of their entire lives. Furniture delivery experts such as movers, on the other hand, help countless clients each year pack up and move their belongings. With this experience comes the knowledge and ability to move nearly anything without damage to the object or its environment. Unforseen costsWhen you reach out to an experienced moving company such as Adam’s Moving Service, you receive a detailed quote right away so you know exactly what the move will cost. When moving by one’s self, it can be very difficult to precisely factor in the cost of packing materials, vehicle rentals, gasoline, etc. Avoid the stress and headache of moving by yourself, and hire professional movers today!